When you stay at Tropical Princess Beach Resort & Spa - All Inclusive in Punta Cana, you'll be on the beach, within a 5-minute drive of Cabeza de Toro and Bavaro Lagoon. 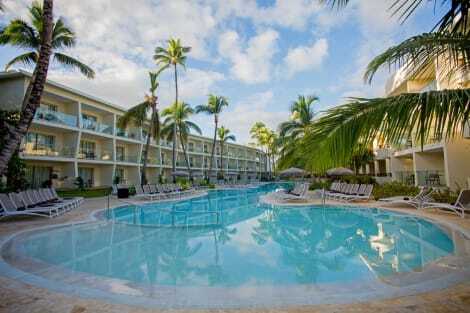 This beach property is 5 mi (8 km) from Downtown Punta Cana and 7.5 mi (12.1 km) from Bavaro Beach. Enjoy international cuisine at Acuario, one of the resort's 13 restaurants, or stay in and take advantage of the 24-hour room service. Relax with a refreshing drink from the poolside bar or one of the 3 bars/lounges. A complimentary buffet breakfast is served daily from 7 AM to 10:30 AM.